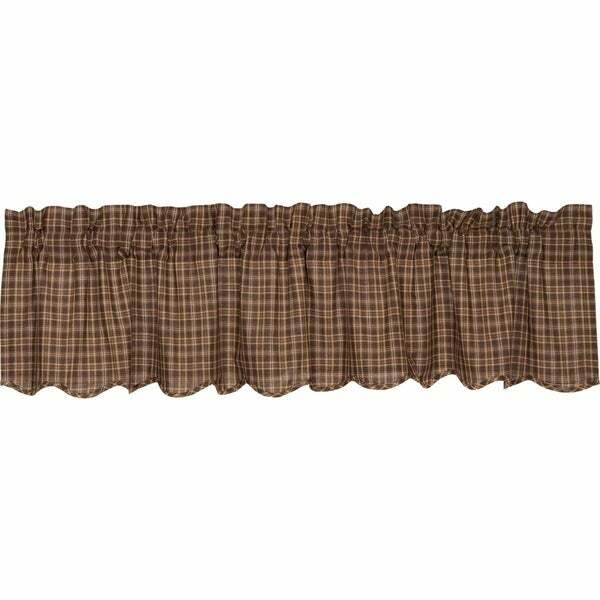 Prescott Scalloped Lined Valance - 16" x 72"
Prescott Block Border Valance - 16" x 72"
Barrington Scalloped Lined Valance - 16" x 72"
Dress your window with the rustic look of the Prescott Valance Scalloped. Grace your room with its earth tone brown, tan and creme plaid. Dimensions 16.0 In. X 72.0 In. X 1.0 In. Millsboro Scalloped Lined Valance - 16" x 72"